Every year in spring I am geared up with a paper box, scissors, 10 empty bottles and literally waiting for elderflowers to blossom. You must be quick, they will be gone soon and than you will have to wait another year. 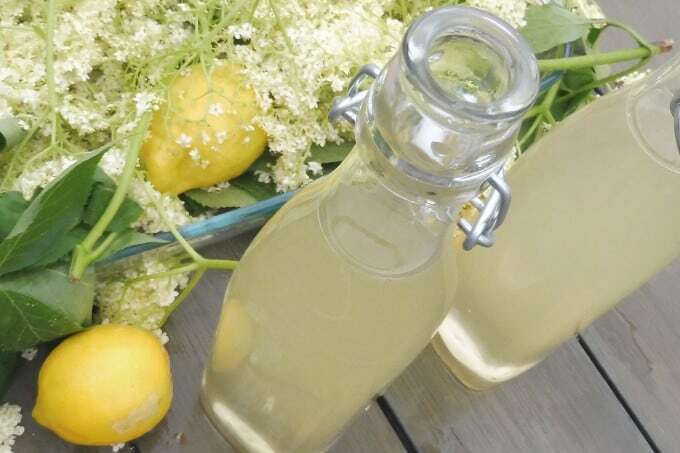 Its a tradition in our family to make elderflower cordial for the whole year. 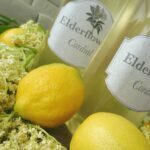 Moreover to make elderflower cordial, its quick, easy and must be combined with a long walk to collect the flowers. Elderflowers are large white flowers that smell beautiful and sweet. Make sure you collect them on a dry hot day. They should be used straight after picking. Avoid busy roads. 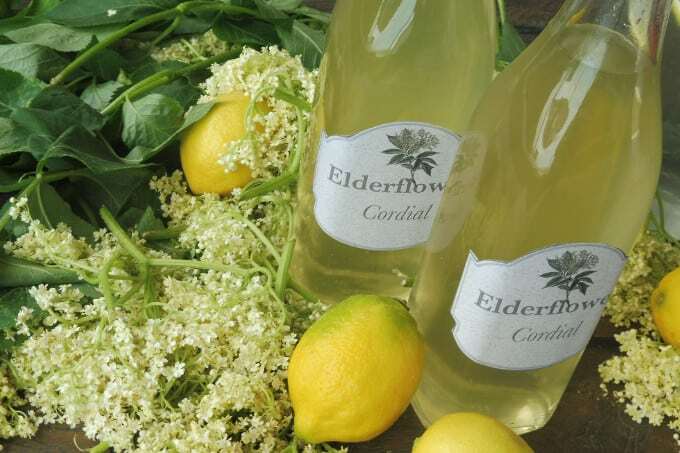 The history of elderflower cordial can be traced back to Roman times. 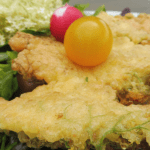 Nowadays it is very popular in Central Europe, especially in Austria, Germany, Hungary, Slovakia and England. (wikipedia). 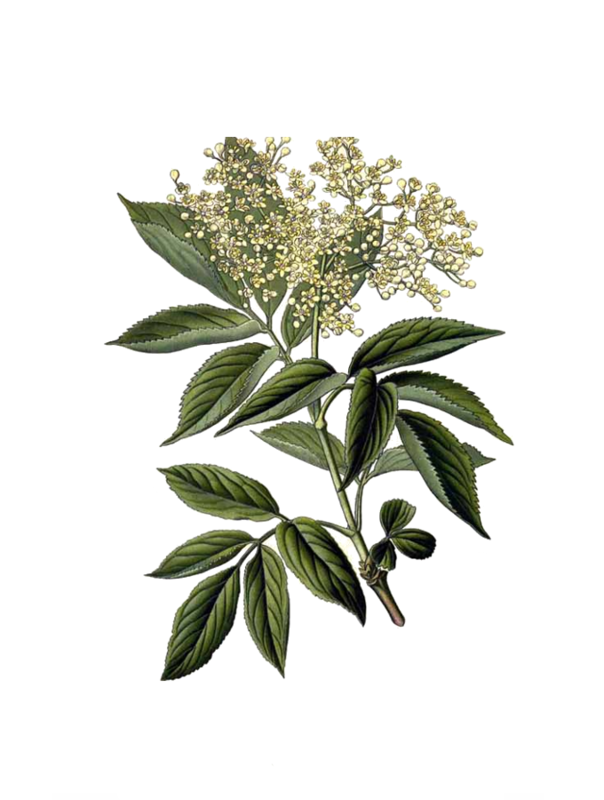 The main reason why elderflowers are so popular are their antiviral properties. 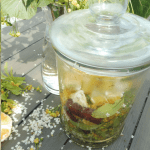 Traditionally, elderflowers were used for detoxification, asthma and allergy treatment. 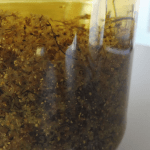 I have been using 2 l bottle and made 1,5 l of elderflower cordial. Mutiply by 10 if you want to make 15 l of elderflower cordial for the whole year. 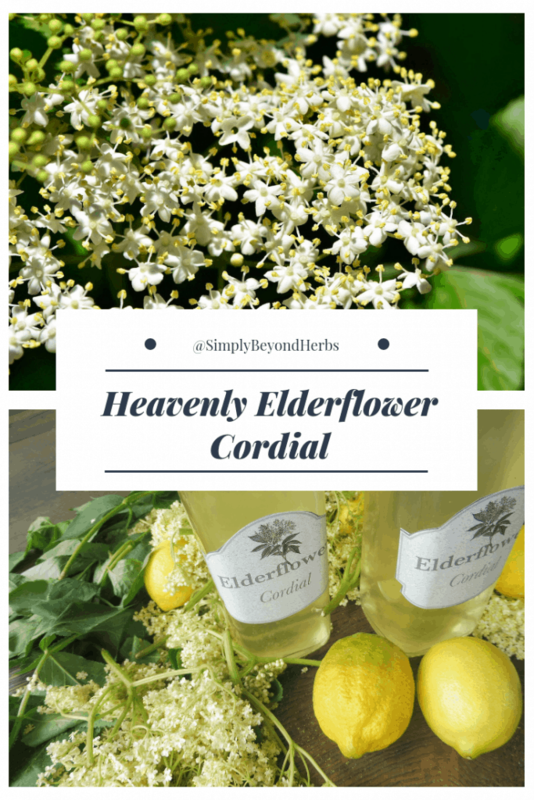 Feel free to download elderflower cordial label here – the same I used in this video. 1. Pick the Elderflowers and set them outside for a while so that any tiny bugs hiding in the blossoms have a chance to make their escape. 2. Next put the white flowers in a bowl with 3 slices of unwaxed (bio) lemon and pour 1 l of cool water which has been boiled. 4. Strain your cordial through a piece of muslin and pour into a 2 l sterilized bottle. Add the sugar and the citric acid. 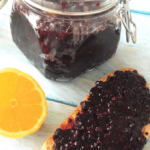 Citric acid powder, also known as sour salt, is easy to find in many markets, It not only boosts the acidity of the cordial, but it also acts as a preservative. 5. Once the sugar is completely diluted, fill in sterilized bottles. If you keep the cordials in a cool place they will easily last until next year. But we usually drink it all before then. They make a wonderfully refreshing drink when combined with still or sparkling water. 3) Let it infuse for 24 hours4. Strain your cordial through a piece of muslin and pour into a 2 l sterilized bottle. 4) Add the sugar and the citric acid. 5) Once the sugar is completely diluted, fill in sterilized bottles.